The following sizes are out of stock: 5x7"
This product is expected to ship on Friday, April 19 if you place your order within the next 10 hours and 13 minutes. 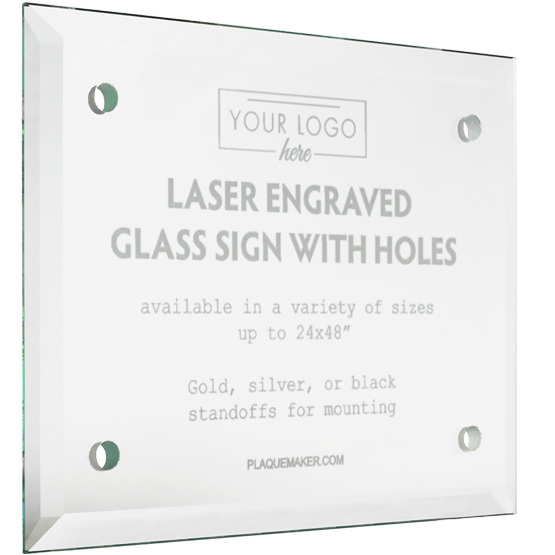 Create custom engraved glass signs at PlaqueMaker. 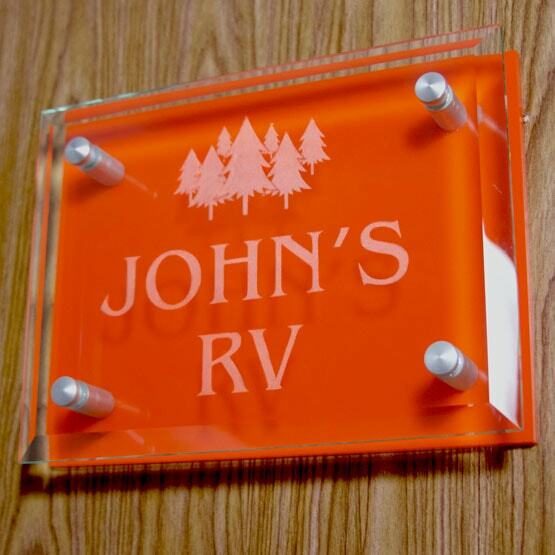 Our personalized glass signs make perfect dedications and memorials, but also work as office signs for your businesses, universities, or church. Pre-drilled with holes, add our beautiful metal standoffs for a professional finished look. Plaque looked great and was exactly what I was hoping for. PlaqueMaker made it easy to design and had them sent out in a matter of days. Very easy to make contact with someone to make detail adjustments and confirm the orders. The products look great and I would certainly use them again. Quality product that arrived on time and with secure packaging and the right hardware. I only wished we had ordered some sort of backing, as etching on clear glass is a bit hard to see/read. My company and I couldn't have been more pleased with the high quality of craftsmanship, price, and turnaround of our orders!!! 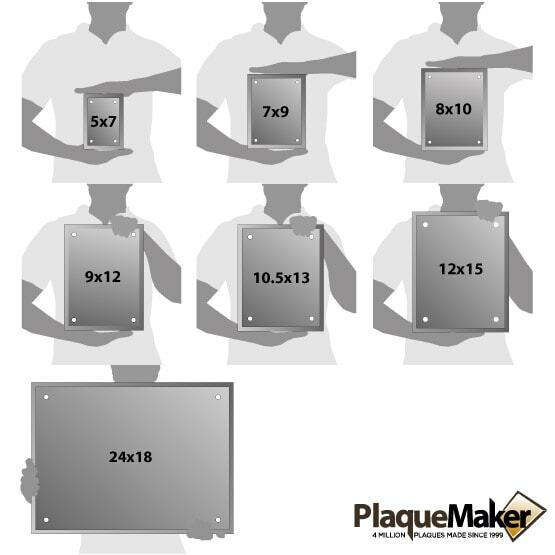 When we noticed a misspelling on one of our plaques, Plaquemakers made a new plaque and shipped it out the NEXT DAY, Free of charge!!!! Thank you!!! We look forward to using your services again in the future!!!!!!!!! !